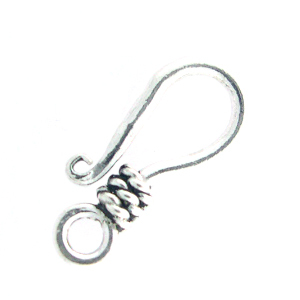 Beautifully detailed, Sterling Silver Hook with 3 loops of twisted wire at the base! Hook measures approximately 19mm. Each clasp weighs approximately 1.1 grams.